DID YOU KNOW: A comfort object or a security blanket is an item used to provide psychological comfort, especially in unusual or unique situations, or at bedtime for small children and toddlers. Among toddlers, comfort objects may take the form of a blanket, a stuffed animal, or a favorite toy, and may be referred to by the terms blankey and lovey. We've just added this beautiful range of classic and top quality baby blankets to our range of bedding. These aren't the type of product you'd find on a market stall or a discount nursery store. These baby blankets are of the quality you'd find in in any exclusive Knightsbridge store or a specialist wool blanket store in the Lake District. They are quite pricey but let me assure you - they will last for years and friends and family may try to pinch them to use as decorative throws. 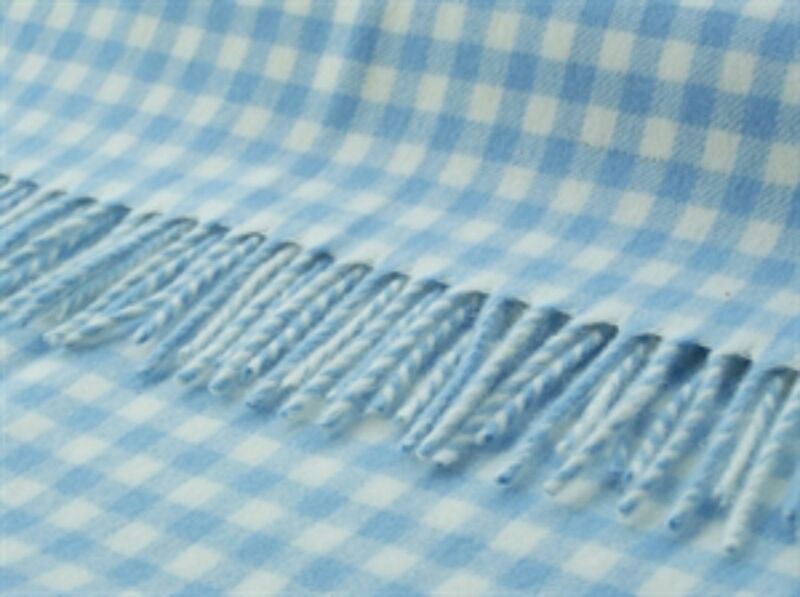 These Bronte blankets will make an ideal baby shower gift or an ideal christening present.